I am up on the Birch Press blog today sharing a tutorial to make this pretty in pink Christmas card. A Christmas card today using the new Sevilla Stackables and Christmas Greetings stamp and die set from the Birch Press Design Store. The Stackable dies are amazing, there are so many colour combinations that you can put together just by changing colour of one of the layers. For today's card Layer C was cut with pink cardstock and then Layers A and B were cut with white cardstock. Once the layers were all cut they were adhered to the white card base using liquid adhesive. 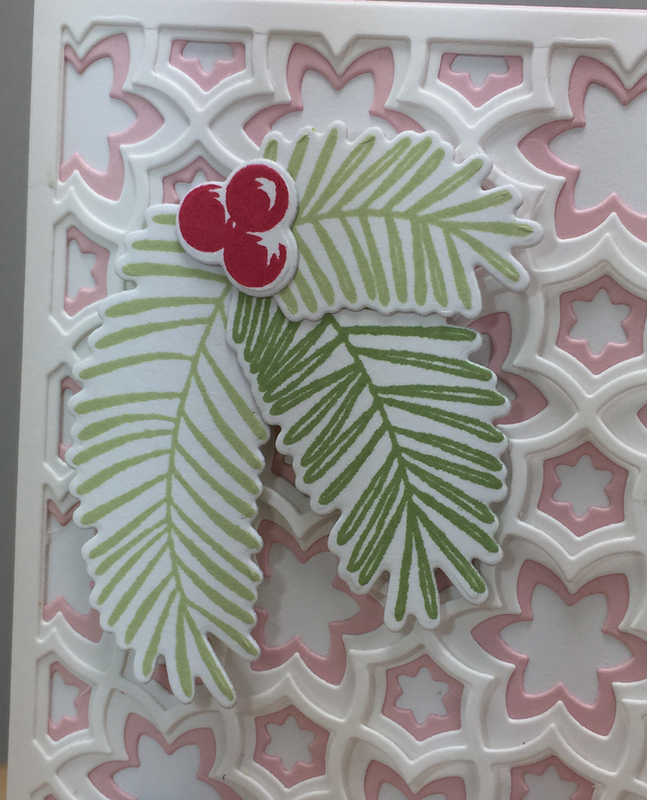 The pine bows were stamped and die cut in two shades of green ink and then the berries were stamped in red ink. The open dies make die cutting the stamped images with an even white border around them easy. The pine boughs were adhered to the card base with double sided foam adhesive. To create the silver sentiment the wishes die was used to cut from silver cardstock. Warmest was embossed in silver on black cardstock and adhered just above 'wishes'. Using just a few dies made this project come together easily. 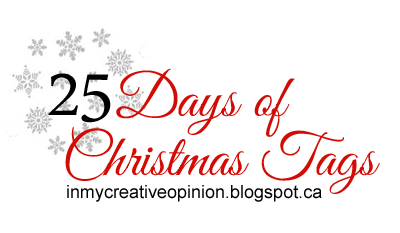 Looking for the 25 Days of Christmas Tags? Click HERE! 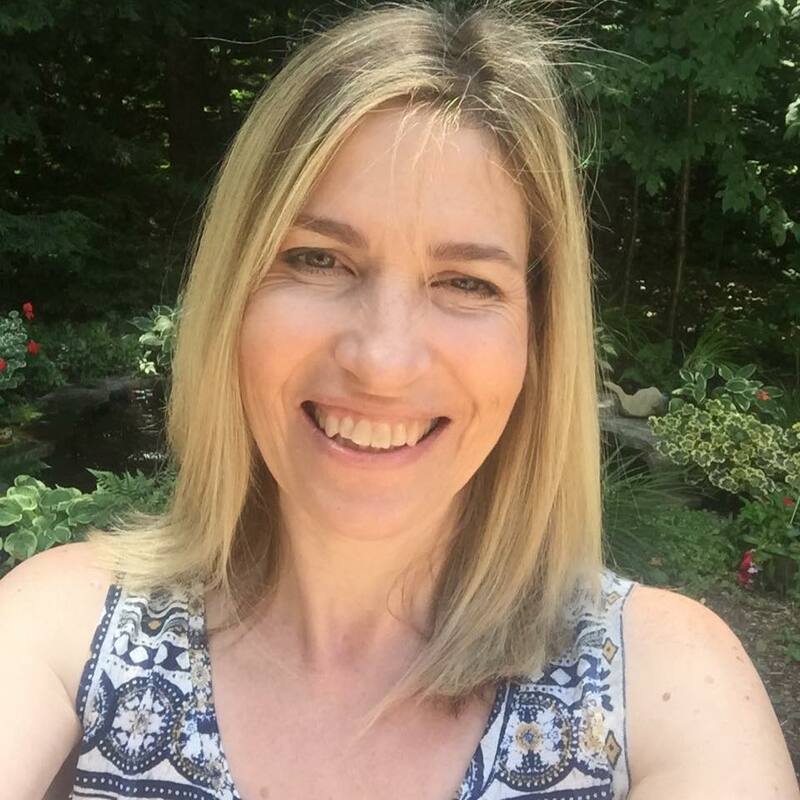 Beautiful Tracey! The dimension is incredible! 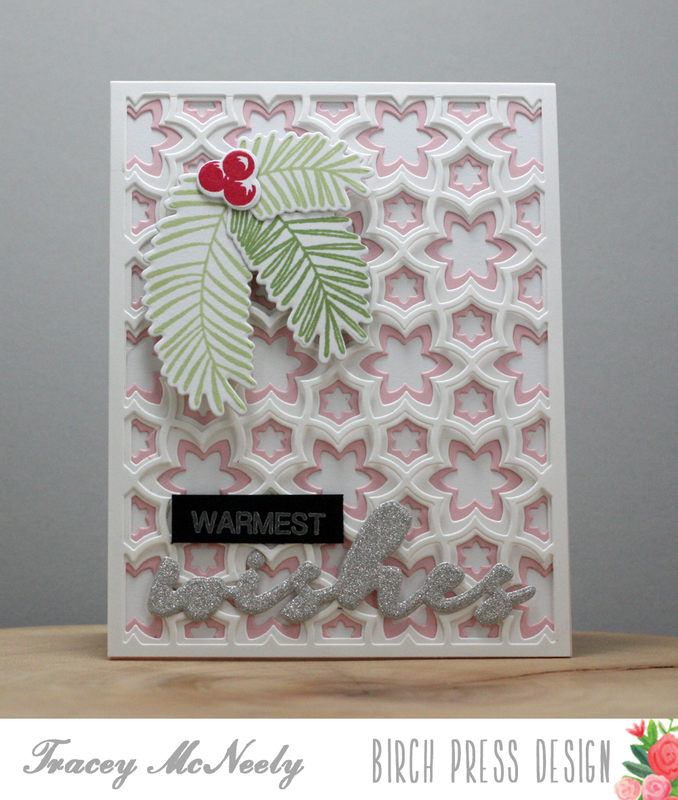 Gorgeous card with the pretty stackable dies, Tracey!! Pretty pine bough and lovely touch with the glittery sentiment...so pretty!! Another gorgeous card, another gorgeous set! WOW!!! 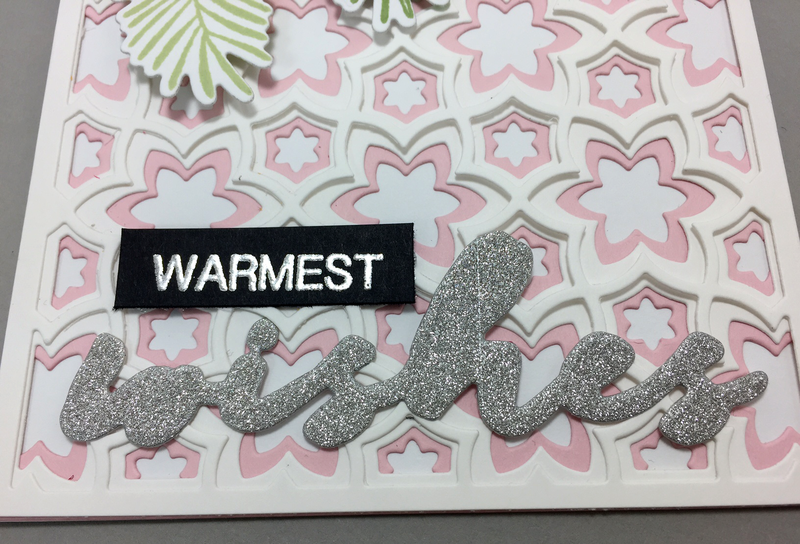 Love the detailed die, and the pink and silver look fabulous together! all these layers are GORGEOUS! Love the soft pink with the silver sentiment, and the pine sprigs are perfection! Wow the details! So pretty!! Gorgeous card, those layers are amazing. This is STUNNING!!! I LOVE the pretty layers you did on this. The pink looks amazing with the silver!!! The dimension on this is beautiful, this is marvelous Tracey!! Oh my good gracious, Tracey, the dimension is awesome! Love the sugar sweet colors you used, and with the silver? Well, gonna have to have this!!! Such great dimension on this card! What a fabulous card -so much dimension! Gorgeous card! Love this layered die and the soft color you chose. So pretty! LOVE these layering dies, LOVE your ELEGANT colour combo too!!! Wow... this is beautiful and those layered dies are awesome!! I've not seen these before... wow! That’s such a beautiful card !